A Myanmar court has sentenced two men to death for their role in the murder of a Muslim lawyer and a legal adviser to the country's de facto civilian leader Aung San Suu Kyi. The court on Friday found the gunman, Kyi Lin, guilty of premeditated murder and illegal weapons possession for the 2017 shooting of Ko Ni in broad daylight at Yangon's airport. 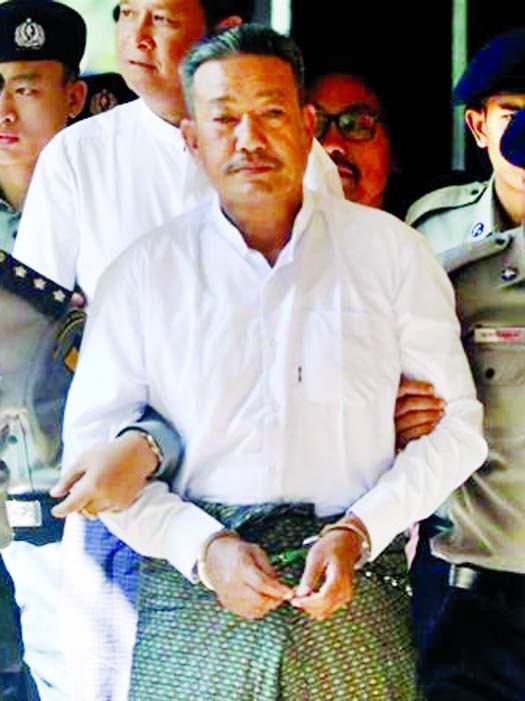 Aung Win Zaw, an accomplice involved in planning the killing, was also sentenced to death. The main suspect, however, still remains at large. Judge Khin Maung Maung sentenced the gunman, who also shot and killed a taxi driver while fleeing, "to death until he dies by hanging". Myanmar has not killed a death-row inmate in several decades. Ko Ni, whose work and faith made him a target of hate speech online by Buddhist nationalists, was shot in the head at point blank range in January 2017, while holding his infant grandson. At the time of his assassination, Ko Ni, a prominent member of Myanmar's Muslim minority, was working on plans to amend or replace the country's military-drafted constitution.